Surtr comes back on the band evolution since the release of its debut album World of Doom one year ago and talks about its second opus planned for 2013. Click here to read it at DoomMantia.com. 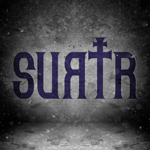 You can follow doom metal band Surtr's news on Facebook, Twitter or Myspace.